Reported from Regional. 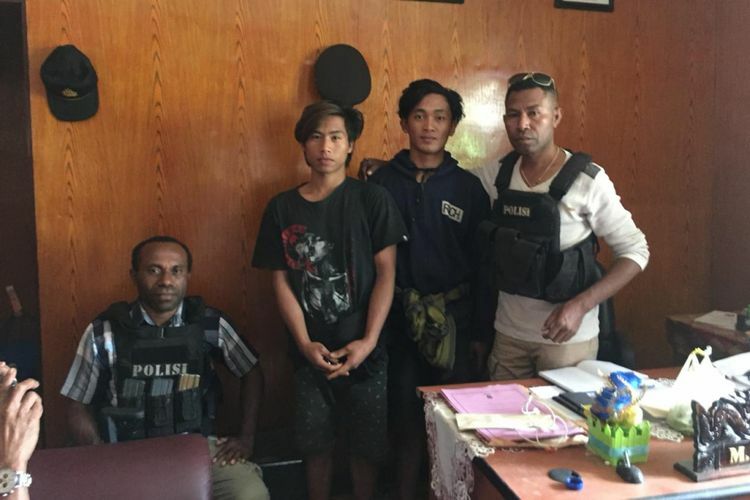 Kompas, police officers succeeded in freeing two construction workers who were held hostage by the Armed Criminal Group (KKB) in the Puncak Regency region, Papua, Wednesday (11/14/2018) at around 13:30 WIT. The two men who were held hostage were known as Seldi Butungbulanan (19) and Arianto (21). They were successfully released from the KKB thanks to the help of the police and the local government. Head of the Papua Police Public Relations Commissioner Pol Ahmad Mustofa Kamal said the hostage took place when the two victims went to the kiosk owned by Agustina's mother by passing Kunga Street. However, when they arrived in front of the Kunga Church, five men carrying firearms were intercepted. Not long after, Kamal said, the two men were brought towards the mountain behind the church. "At that time, the kiosk owner saw the incident, then he reported it to one of the relatives of the victim, and finally reported it to the local police," Kamal said, Wednesday afternoon. Kamal added, Ilaga Police Chief Iptu Menase Sayori along with 9 members, Puncak District Secretary and community leader Ram Uamang picked up hostages who had been released by the KKB. "Hostages were released and picked up by the police chief along with members in Eromaga Village, Omukia District, Puncak Regency, then taken to the Ilaga Police Headquarters for further examination," he concluded. Kamal thanked the ranks and also the local government who responded quickly to the case of the hostage taking.